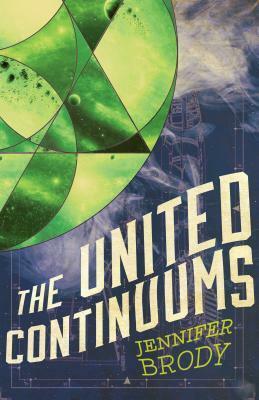 In the epic conclusion to the award-winning Continuum Trilogy, Aero leads a group insurgents from the Second Continuum to overthrow his rival Supreme General Vinick and unite his space colony s military forces, while Seeker takes on a secret mission back to her home colony to reinforce Earth's defenses and defend the First Continuum against an even greater threat. Meanwhile, Myra s nightmares have become a reality as the Dark Thing hurtles toward Earth with designs on eradicating the planet s fledgling populace. The only thing standing in the way are the three Carriers and those who would join them to fight against a second coming of the Doom. I am not ashamed to say that I finished this in a day! I have been a die hard fan of this series since it started and man I dont want it to end. If you loved book one and book two you will DEVOUR this one!! The author did a wonderful job with continung this world she has created and I just couldnt get enough of it. Make sure to have the tissues near by because this one game me all the feels! I really could see this one as a movie and it would be wonderfully fantastic!!!! This one had everything I was looking for in this book. Action, supence, great characters, and one amazing story! I cant wait for the next book by Brody!